We're pleased to announce that QSource.com has added a new vendor to our Lighting, Magnification & Inspection Department: Dazor Manufacturing. Dazor has been manufacturing high-quality, low-cost task lighting for more than 75 years. 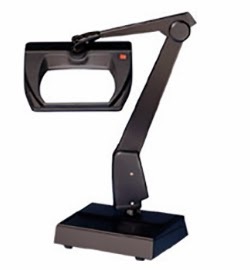 Our collection includes nearly 300 Dazor Task Lights. Use our attributes list to narrow your choices by arm style, base type, bulb type, and more. 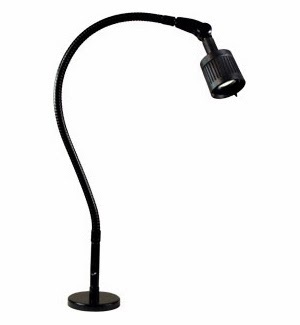 With task lighting made for use in the industrial, medical/dental, and jewelry fields, you'll quickly find the perfect task light or desk lamp to meet your needs. To learn more about the uses of task lights, read Dazor's "Putting Light Where It’s Needed: The Benefits of Task Lighting." If it's a Dazor Illuminated Magnifier you're looking for, we've added more than 250 for you to choose from. Dazor has been manufacturing illuminated magnifiers for more than 60 years and their expertise ranges from low-cost magnifying lamps to state-of-the-art HD video magnifiers. QSource.com's selection offers these high-quality magnifiers with a number of diopter sizes, magnification ranges, and lens sizes. For more info, see Dazor's article, "How to Choose a Lighted Magnifier." To place an order for any of these items please visit our Dazor Department at QSource.com or contact us via phone (800-966-6020) or email. If you're unsure of what your exact lighting or magnification needs are please contact us and we'll be happy to assist you.